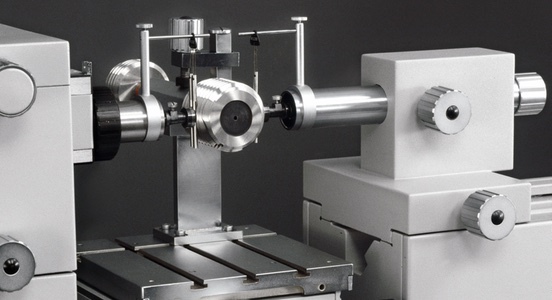 Inspection of plain plug and plain ring gage. 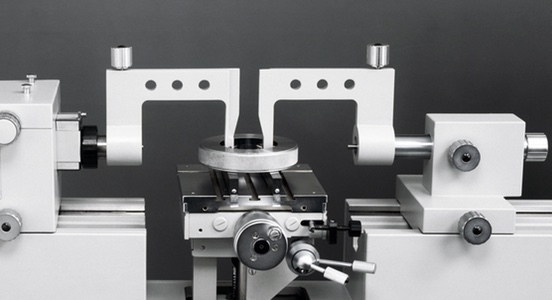 Inspection of thread plug, thread ring and pipe thread gage. 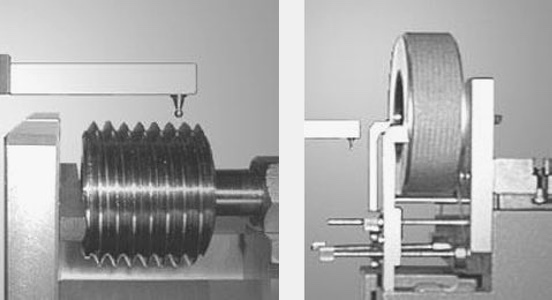 Inspection of internal and external spline gage. 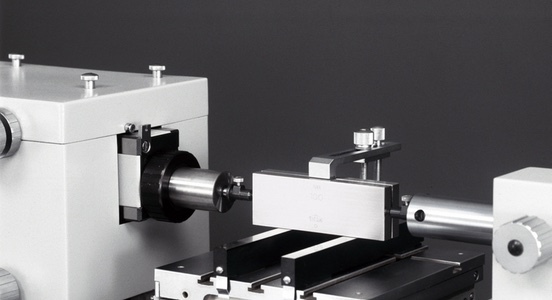 Inspection of indicator, lever type indicator, micrometer and bore gage. 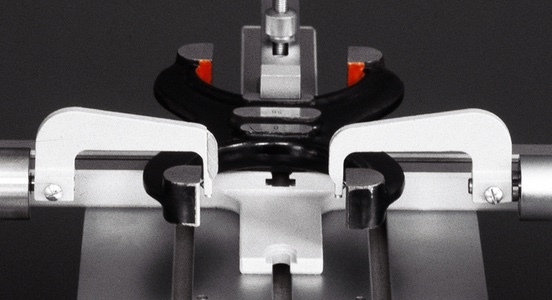 The movements of the work table allows high speed location of the inversion point. Three wire method. 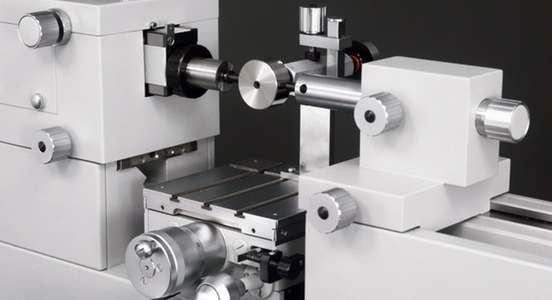 Calibrated wires are part of the standard equipment included with the machine. The inspection is carried out by comparison with master gage block. 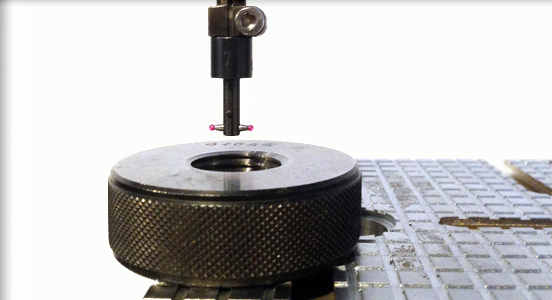 Plain ring inspection is easy and accurate. 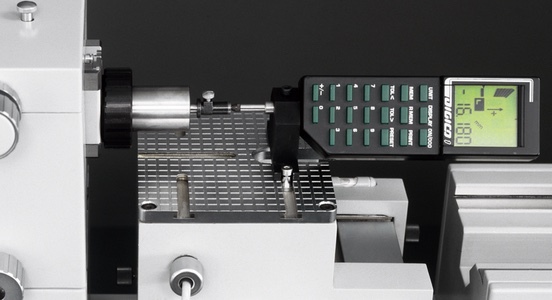 The standard device includes 12 pairs of spheres for internal thread measurement. Range: 14-90 mm | 0.5"-3.5"
The measurement is carried out with zero contact force. Minimum diameter: 1mm | 0.04". Snap gages are placed on a special holder. Inspection of digital comparator, dial indicator and lever type probe. 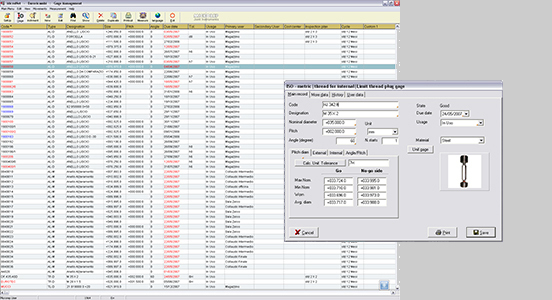 Software standard included with the machine. 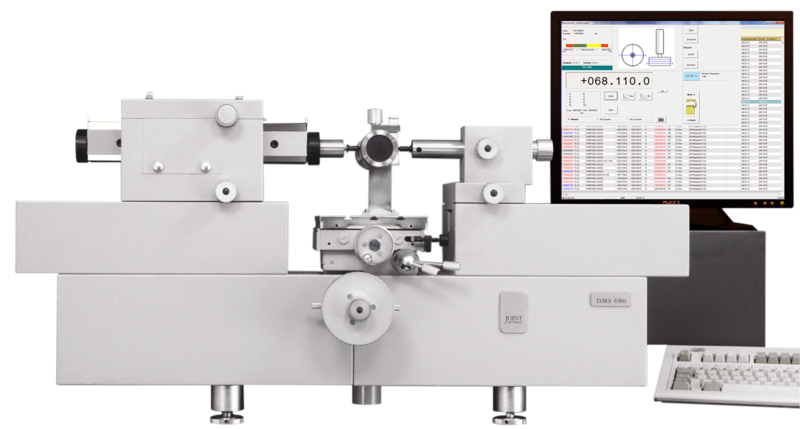 MicroNet software allows to store gages into the database, automatic tolerance calculation, etc..
Software standard included with the machine. 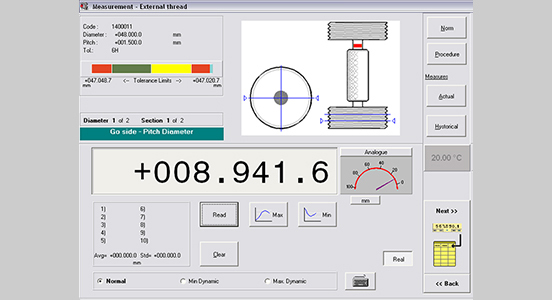 MicroNet software provides real time reading, thread formulae, automatic certificate printout, etc..
An electronic lever probe device with spherical-end stylus, allows fast measurement of small plain ring gages. 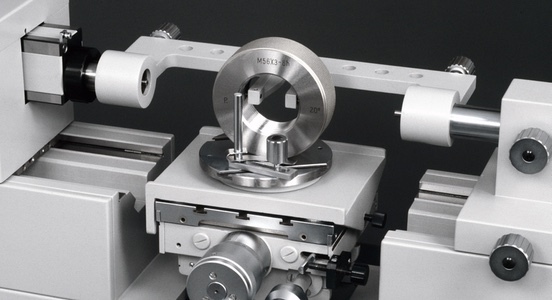 Note: the standard machine includes a manual system (small ring device) to measure small plain ring gage. 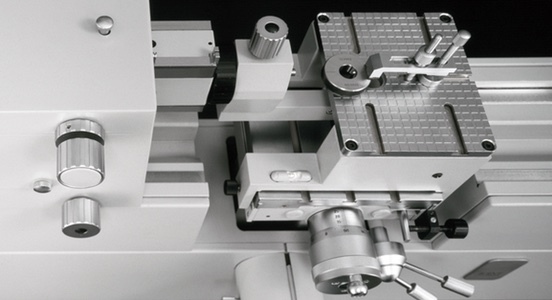 To extend measurement range of thread ring gages up to 400 mm | 16"
Internal and External thread pitch verification. 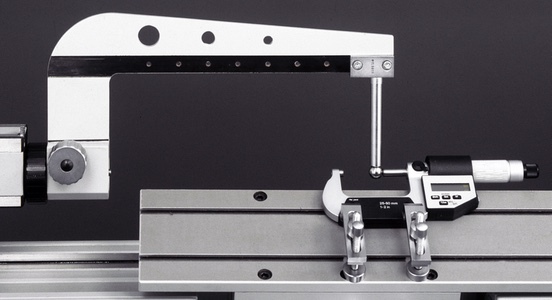 Optional extra weights to change the measurement force. Gage with involute profile inspection. 0.18 + L/1200 µm 0.000010 "
0.14 + L/1200 µm 0.000008 "
0.10 + L/2000 µm 0.000006 "
0 - 680 mm 0 - 27 "
0 - 480 mm 0.04 - 19 "
0 - 480 mm 0 - 19 "
3 - 400 mm 0.12 - 16 "